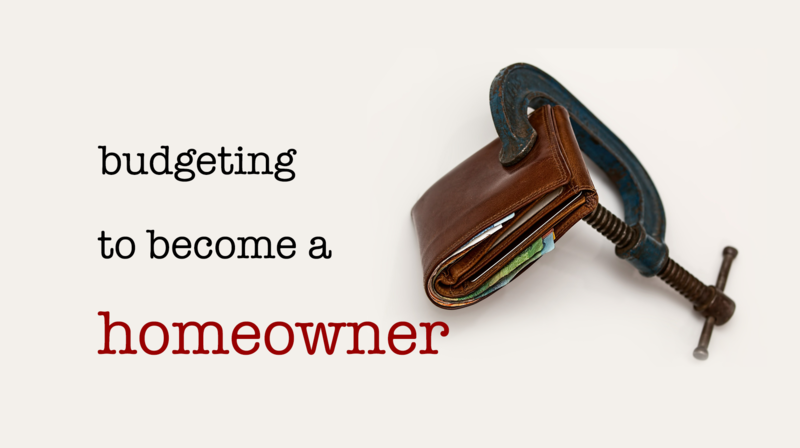 You have found yourself in debt, but you have also found yourself wanting to buy a home. You want to pay off the money that you owe all while saving up money for your dream home. It is possible? First off, you should know that you are not alone. Many people find themselves in situations such as this, but there is a way to come out of this and end up in a home that you love. Let’s be real budgeting can be overwhelming, but hear me out! Instead of thinking of budgeting as a restriction think of it as a guide. A guide that will lead you down to a path of financial stability. And besides what is more terrifying — budgeting or being in debt? Start by writing down your expenses. How much do you spend on food? Gas? Going out? Track what you are spending for one month and when you are done determine if that amount of money is over or under what you can afford. Figure out what things you can cut back on. Do you really need to do things like going out to eat five times a month? Probably not. Look for alternatives to the things you normally do. Instead of going out to eat for lunch at work, pack your lunch. Instead of going out to the movies, rent one and have a comfortable night in with your friends, family, or significant other. If you want to go out try finding coupons for the place you are going and save money that way. One thing you should ask yourself when shopping for things that you really do not need is if you would rather have that particular item or a home. Once you have figured out ways to cut back on spending, put the extra money into a savings account. Try and save up an emergency fund of at least $1000 or whatever you feel comfortable with. 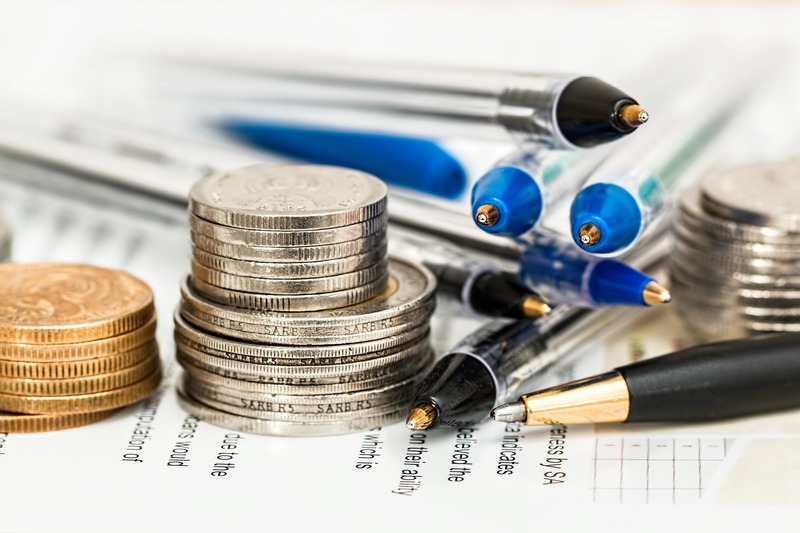 It can be hard to eliminate credit card debt, for example, when you do not have an emergency fund established because something expected can happen and force you to use your cards and bring you more into more debt. One way to earn money is by selling your possessions that you do not want or need. You can use the profits from this to reduce debt or save up for a down payment. Just make sure that you are receiving sales receipts for the items that you sale so that you have documentation for the lender on how the money got into your account. You could also use the money from the things that you sell to live off instead of taking money out of the bank. When you have an emergency fund saved up, then it is time to start paying off your debts and raise your credit score! At the very least you should make sure you are making your minimum payments. Lenders usually look at the minimum balances that are reported to credit companies in order to calculate your debt-to-income ratio. So once you have your emergency fund established use the money that you were putting into the fund into either the card/loan with the smallest balance to get it paid off quickly or into the card/loan with the highest monthly balance (if you are able to pay it off in a relatively decent amount of time). This can take time. It can take up to 30 to 60 days to show that you have paid on a credit card or a loan. You can try calling your credit card companies to figure out when they report to the credit companies. This can help you find out when it will be best to pull your credit when applying for a mortgage. What About Loans that Require Zero Down? If you do not have money saved, you may still be eligible for a zero down home loan with Riverbank Finance. We offer great zero down programs including the USDA Mortgage and VA Loan. USDA loans only apply for rural homes and VA loans acquire you to be eligible for military benefits. Ask your loan officer if you are eligible for these options. Keep in mind, even with zero down loans, there are costs in addition to the down payment. those trying to get a mortgage would also need funds saved up for appraisals and closing costs. To save on cash at closing, a buyer could as the seller to pay for these costs as party of the sales agreement. A common misconception is that you need to save 20% for your down payment. While there are benefits to applying a large down payment, most people do not have access to that large of a bundle of cash. We have several low down payment options that might be perfect for your situation! Riverbank Finance LLC is pleased to offer the Conventional 1% Down Mortgage with Equity Boost home loan program. In this program, you can purchase a home with 3% equity, but only 1% down payment. How does that work? You, the buyer, contribute 1% and we, your lender, contribute 2% giving you a total of 3% equity at close. Another great low down payment options is our FHA loan with down payment assistance. With this program you will get a gift of 2% of the sales price towards your down payment. This means that you would only need 1.5% down for the required down payment. One of the most important things is to not make budgeting and saving money seem like a chore or else it might make you want to stop trying. If you need advice on what you should do in your situation give Riverbank Finance a call and let our trusted loan officers help you find a solution to your debt issues and help you get the home that you want. Buy a Home with Just 1% Down! Buy a Home with Just 1% Down and get up to a 2% Lender Gift towards your down payment. Buying a home has never been more affordable with our low down payment Conventional Mortgage. Unlike Down Payment Assistance programs, such as MSHDA, there is no 2nd mortgage required. This is a true gift at the closing from the lender that is applied to the down payment. This give you 3% equity at the closing! This program is available through our FannieMae HomeReady Mortgage which offers low fixed rates on 10 year to 30 year mortgage loans. To get the lowest overall mortgage payment you could opt for our lender paid PMI option. This will allow you to have no monthly PMI included in your mortgage payment resulting in some of the lowest possible mortgage payments available! To get started with our low down payment mortgage simply call a licensed loan officer at 800-555-2098 or request information below. You will supply some basic information to confirm you meet the income, credit and asset requirements for the program. If everything looks good, you will be given an Pre-Approval Certificate so you can start shopping for a home! EXAMPLE DETAILS: Borrower contributes 1% down, lender contributes 2% of the loan amount up to $5000 for the down payment and the borrower is responsible for any difference to get to the required 3% down. The principal and interest payment on a $200,000 30-year Fixed-Rate Loan at 4.625% and 97% loan-to-value (LTV) is $1028.28 with 0 points due at closing. The Annual Percentage Rate (APR) is 4.866%. The principal and interest payment does not include property taxes and home insurance premiums, which will result in a higher actual monthly payment. Rates current as of 01/15/2018. If you are a first-time homebuyer, getting a mortgage may seem overwhelming — especially with all the different options available. Maybe you don’t have a lot of money for a down payment or your credit isn’t great. The good news is, you can still qualify for a home loan. 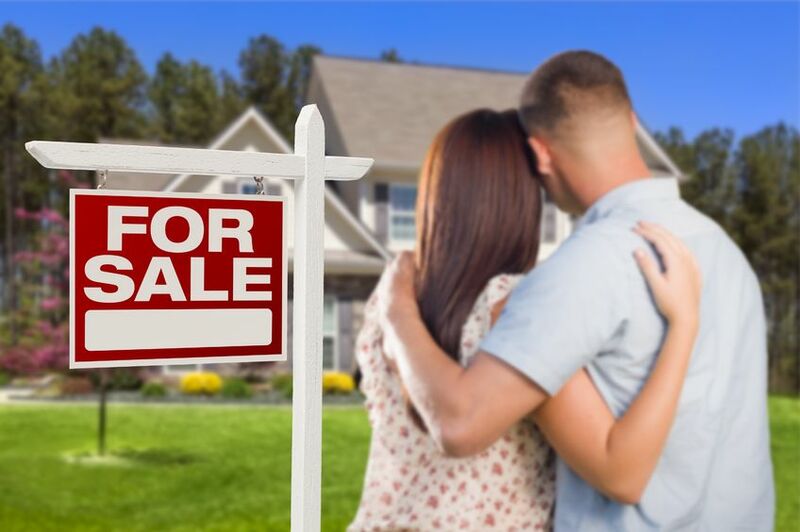 Here are 4 low or no down payment options that can help you, as a first-time homebuyer, get into the house of your dreams. With an FHA loan, all you need is a 3.5% minimum down payment to buy your first home. Because the Federal Housing Administration backs the FHA loan, the qualifications are a bit more lenient. People who have no established credit or small savings for a down payment, and even a credit score as low as 580 can qualify. The FHA loan is also available to immigrants who have a Visa or Green Card, as well as those who have gaps in their employment. It’s also easier to qualify for an FHA loan if you’ve filed for bankruptcy. With a conventional loan, you have to wait four years after filing Chapter 7 to apply for a mortgage. With the FHA loan, you only have to wait two years. If you filed for Chapter 13, you only have to wait one year. You can also get an FHA loan three years after being foreclosed on your previous property. The government created the VA loan to provide home ownership to veterans and military personnel. Like the FHA loan, the government backs the VA loan for extra security, so qualifying is easier. To qualify, you must get a certificate of eligibility from the Veterans Administration. Having bad credit may not hinder you from getting approved. VA loans require no down payment or Private Mortgage Insurance (PMI). Veterans can choose either a 30-year fixed VA loan or a 15-year fixed VA loan for up to $424,100. They may also get a cash-out refinance of up to 100% of their home. For those wishing to buy a home in a rural area, the USDA Rural Development Loan requires zero down payment, making it great for first-time home buyers. The government also backs this loan for added security, so there’s low or no PMI attached to it. You only have to pay a 1% guarantee fee upfront and 0.5% each year after that. That’s less than the 1.75% up front and 0.85% each year with the FHA loan. If you’ve recently filed for bankruptcy or were foreclosed, you won’t have to wait too long to qualify for a USDA loan. Important Update! Last date for loan submissions is 5/31/2018. Program is being discontinued. Riverbank Finance offers homebuyers a way to put only 1% down on a home and still get a conventional mortgage. In this case, the home buyer puts 1% down and the lender (Riverbank Finance) contributes 2%, giving home buyer 3% equity when closing on the home. Freddie Mac created this option to make homes more affordable for new buyers. It allows people to buy a new home for, essentially, the cost of one month’s rent and avoid PMI altogether or drop PMI in the future. Your 1% down payment may be a gift from someone, you must have at least a 700 FICO score, and your debt-to-income (DTI) ratio is limited to 43%. For more information or to speak with a loan officer about any of these mortgage options, call Riverbank Finance at (800) 555-2098. An alarming number of first time homebuyers are unaware that mortgages involve closing costs, and which often creates a financial obstacle. 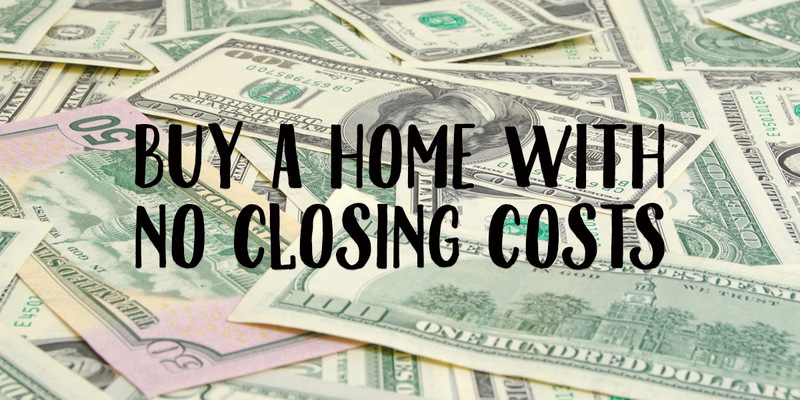 Here, we’ll explain not only what closing costs are, but more importantly, how to avoid paying them! Closing costs are additional fees a homebuyer is responsible for, outside of the down payment, at the time of closing. They include things like lender fees, title fees, government fees, and prepaid items such as property taxes and homeowner’s insurance. See below for a more conclusive list of closing costs you may encounter. Closing costs vary based on factors such as loan amount, location (state and locality) of the property, and lender fees. Total closing costs typically range between 3-6 percent of the sale price. As stated above, not all fees apply in every loan situation. For instance, here in Michigan, title insurance and transfer taxes are typically paid by the seller. Ask your buyer’s agent about what (if any) fees their brokerage charges for their services, as their administrative fees can range up to $500. Lender fees can also have a large impact on a homebuyer’s total closing costs. Here at Riverbank Finance, we don’t charge any additional lender fees for most loan programs! Be sure to ask your loan officer what fees you can expect to pay for their services. Can I Avoid Paying Closing Costs? There are several ways in which homebuyers can avoid paying closing costs. The most common way to do this is to request seller paid closing costs when writing an initial offer on a property. Each loan program is different, but allows for a percent of the purchase price to be given back– up to 3% on Conventional, 4% on VA, and 6% on FHA and USDA. For example, if you are purchasing a $200,000 home with a VA mortgage, you can request seller paid closing costs of up to $8,000. Homebuyers should also speak with their loan officers about no-closing cost loan programs. By utilizing lender credits, buyers can reduce or even eliminate their closing costs altogether—ask your loan officer if you qualify for lender paid closing costs! Here at Riverbank we charge NO APPLICATION FEES and most of our loan programs have NO LENDER FEES. To apply for a Mortgage or Refinance with NO closing costs, call Riverbank Finance today at 1-800-555-2098. Great news for homebuyers considering an FHA home loan or FHA refinance! The popular mortgage program is getting even better. 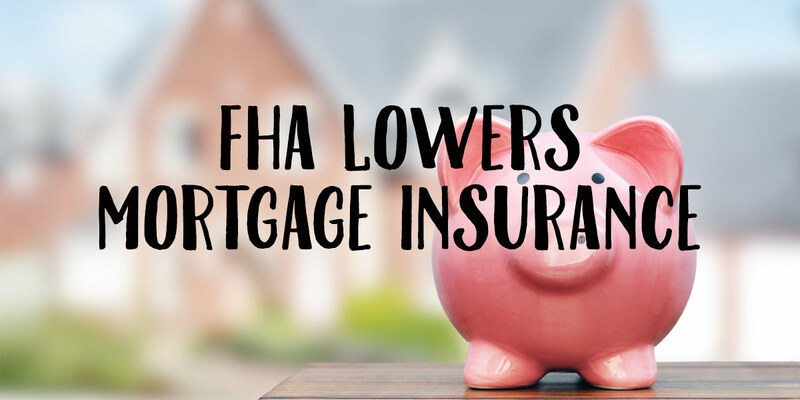 The Department of Housing & Urban Development announced this morning that the FHA will be decreasing their annual mortgage insurance premium by a quarter of a percent. The upfront guarantee fee will remain the same. Effective for new mortgages closing on or after January 27th, the annual fee—paid monthly—will decrease from .85% to .60%. This news comes only four months after the USDA decision to lower their own upfront and annual fees on rural development loans. Now, unless you spend your spare time studying loan program guidelines, that might sound like gibberish—so let’s do some math to demonstrate the savings. On a $200,000 home purchase, the monthly mortgage insurance premium would decrease from $142 to $100. That is a savings of $42 per month, over $500 per year! The FHA made this decision following four straight years of growth and $44 billion dollars of value gained since 2012. They aim to protect the insurance fund while also offsetting the cost of increased mortgage interest rates. Have a specific scenario you’d like to run past us? Give us a call to speak with one of our licensed loan officers, or check out our FHA Mortgage Calculator. We would love to recommend the best loan program for you and your situation. Partnering with one of the nation’s largest conventional mortgage lenders, Riverbank Finance is now offering Fannie Mae’s new 3% down home loan program called the HomeReady Mortgage, which allows borrowers to obtain a mortgage with substantially lower payments that standard conventional home loans. For a home purchase or even a mortgage refinance, this new home loan option removes Fannie Mae price adjustments which keeps mortgage rates low. This program is targeted at low to medium income families to make homes more affordable and sustainable. Income limits are imposed based on AMI (Area Median Income) however there are no income limits in many census tracts such as underserved urban areas. To be eligible for this program a home buyer must apply for a mortgage with less than 20% down payment and 680+ credit score. Qualified borrowers will be able to get some of the lowest overall mortgage payments compared to standard conventional loans and FHA loans (another popular low down payment mortgage). What makes this program unique is that it will consider income from others that are planning on living in the home such as parents, siblings, working children or even roommates without them being a co-borrower on the mortgage. This feature will be especially helpful for families that choose to live with multiple generations for health reasons or for financial savings. To request a free quote for a HomeReady purchase mortgage or HomeReady refinance mortgage call Riverbank today at 800-555-2098 or request information below. 2015 has has given many reasons to be thankful in the real estate industry for this Thanksgiving season. Here are the top 5 reasons to be thankful. Low mortgage rates mean higher purchasing power. With the low inventory for real estate in Michigan, low mortgage rates have increased buyer’s purchasing power allowing them to have a larger price range to search for homes. Low down payment mortgage programs have expanded including the 97% mortgage. 2015 has granted new low down payment programs for first time home buyers. Fannie Mae and Freddie Mac have both released 3% down mortgage options for first time homebuyers allowing more young professionals and families to buy homes. USDA home loans, the zero down mortgage program is quicker and easier to close. Michigan’s USDA has stayed up to date with their mortgage reviews allowing home buyers to close quickly on their no down payment mortgages. With Michigan being the #1 USDA mortgage state, the underwriting offices stay busy but have been able to quickly approve loans without weeks of delays as in previous years. Low gas prices have made driving to home showing appointments much cheaper. It isn’t just how much you make but how much you keep. Lower expenses equal more money in your pocket! Michigan’s booming job market has fueled home purchasing. Michigan’s economy has the lowest unemployment rate in years which helps allow families to have the stability to save and buy homes. With fewer people being laid off the chance that a buyer will lose their job a week before close is slim. Did I miss any reasons to be thankful? Feel free to share reasons why you are thankful this year in real estate! The end of the year can be a very joyous time for many of us. It is a time when we can spend some quality time with our families, experience the joy of giving to others, and reflect on how thankful we are. The end of the year also allows us to reflect on our previous year and come up with next years goals. Some people may have goals and aspirations to try to lose weight, others may try to find a better job or start a small business, and still others may want to buy their first home or even buy an investment property. If your goal this year is to try to buy a new home you may have an added benefit in trying to buy your first home in the beginning part of the year. One benefit could be using your tax refund and leveraging that money toward the purchase of a new home. This can definitely help first time homebuyers make the unaffordable, affordable. If you used your tax refund you may actually be able to qualify for a larger home and at the same time lower your monthly payment by applying larger down payment and therefore lower you mortgage balance. The larger the down payment is, the more interest you will save on the loan over time as well. If you truly did some research into what the average home price was selling for in your area I think you would be surprised at how low the monthly payments actually would be. Again, using your tax refund to buy a house could actually reduce your monthly payments. Many people think it requires a 20% down payment to buy a home however mortgage companies like Riverbank Finance LLC offer mortgages with little to no down payment mortgages. For example, a Conventional mortgage requires only 5% down payment (and it can even be gifted to you from a family member). FHA loans require only a 3.5% down payment which can also be gifted. Both of these home loan options also allow for seller paid closing costs. Example 1: A family receives a $5,500 refund on their income tax returns. This tax refund would allow this family to buy a home with a sales price of $110,000 with a conventional 95% mortgage. A home such as this may have very affordable payments. You may be able to buy a home for less than you pay in rent. Example 2: A family receives a $3,500 refund on their income tax returns. This tax refund would allow a family to buy a home with a sales price of $100,000 with a FHA mortgage. FHA home loans also offer flexible qualification terms with low credit scores. If you are currently renting you may be throwing money away. Many times a first time homeowner can lower their monthly housing payment by purchasing a new home as opposed to renting their current home. Another important reason to buy your first home is to help build your own personal wealth. This is something renters cannot do. One of the paths to personal wealth in our country has always been from buying and living in their own home. Homes go up in value and when you make your monthly payment you pay your mortgage balance down as well. Your tax return can help set you on the right path to homeownership and help grow your independent wealth. Now is a great time to buy. Interest rates are still at historical lows and home price values are still depressed from their historical highs of just 6-7 years ago. This all means that you can afford much more home today then you ever could have in the past. Your tax return refunds could be the answer and help you get a great deal on a new home and in the long run help you build your personal wealth. Be sure to speak with a loan officer to review how much home you can afford by calling us at 800-555-2098 or by requesting information below.